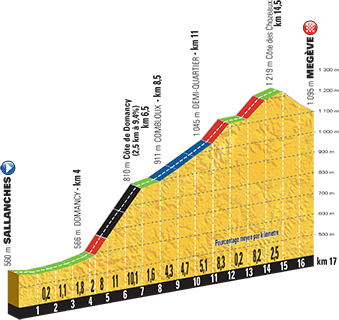 Many have wondered when we might finally get a devastating Nairo Quintana attack in the mountains. The answer, you’d assume on today’s evidence, is never. The not famously selfless Alejandro Valverde will be livid. Just 18 seconds behind his team-mate at the start of the day, he launched a ‘softening up’ attack on the final climb, the consequences of which saw him lose contact with the favourites. How did Quintana exploit this up-softening? By losing contact with the favourites. As Quintana’s various rivals simply rode round him, you wondered whether he and Valverde should perhaps have inverted their tactics. A theme of this year’s mountain stages has been someone attacking Chris Froome and Wout Poels towing his leader back up to them. 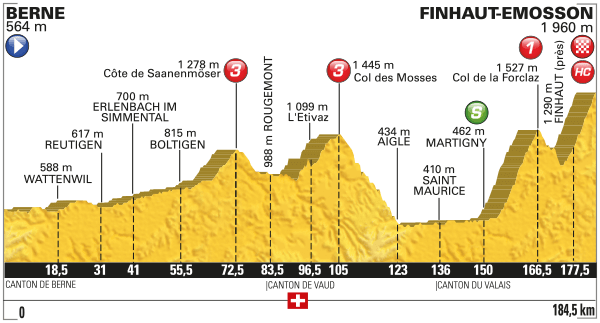 This very much continued on stage 17. At one point Froome attacked and when he turned round to admire the damage he’d done, he was somewhat taken aback to see Poels go past him to start forcing the pace again. Richie Porte was the only man to successfully leave Poels behind and when the Dutchman finally, inevitably, slumped a little, Froome pressed on and caught Porte himself. That pair rode in together. Adam Yates arrived eight seconds later. Quintana was 20 seconds further behind, while Bauke Mollema and Dan Martin had an even worse time of it. Here’s what we were left with. There are many reasons why a rider might miss out on the opportunity to go for a stage win. On stage 15, Ilnur Zakarin lost ground on the final descent because his contact lens became dislodged. Today, Zakarin retained perfect vision and so took the win. Stage 15 winner, Jarlinson Pantano came second. I mention this purely because I love his name. A time trial that’s basically just 17km of uphill misery. Some of the bits at the bottom are wickedly steep. Delicacies of this region basically constitute ‘skiing food’. Tartiflette, raclette, fondue, Reblochon, Emmental. You know the drill. Quite often the last sentence of your post leaves me feeling a little queasy – but ‘tartiflette, raclette, fondue, Reblochon, Emmental’ has got my stomach rumbling in appreciation. This may explain why I am a better skier than I am a cyclist. Cheese consumption certainly aids descending more than ascending.